NB Contour Disposal System Course Re-scheduled for November 2015! | Engineering Technologies Canada Ltd.
Registrations are now being accepted for a course for NB licensed septic installers who wish to obtain a non-conventional license to select and install Contour Disposal Systems. The course will be presented in english and will run the third week of November 2015. Si vous désirez suivre le cours en français, veuillez nous envoyer un courriel avec vos coordonnées à admin@engtech.ca. Minimum and maximum registration numbers apply to each session. All applicants who are interested in taking the course are asked to pre-register and pay as soon as possible in order to secure your spot. Priority will be given to applicants who have pre-registered and paid, in the order they were received. 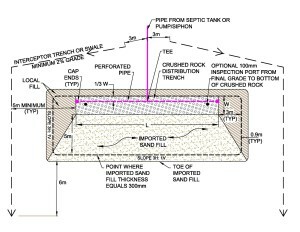 Plan view of a C3 Contour Disposal Field. Your pre-registration form must be received asap to confirm your interest, otherwise the course may not go ahead due to insufficient numbers. Payment must be received in full by October 20, 2015, otherwise, you may lose your seat and it will be given to someone else. You may pay on-line now through our web-store at DynamicMonitors.com. Final confirmation that the course will proceed will be sent on October 31, 2015. If the course does not proceed, any payments received will be refunded in full. Please fill out the pre-registration form, and send to ETC by email (admin@engtech.ca) or fax (902-628-1703) to ETC. Course attendees who pass the exam may qualify for a Non-conventional System license from the NB Department of Health. WHEN: The course will run the third week of November 2015, Monday to Wednesday, with the exam on Thursday morning. Thursday and Friday should be reserved as possible rain dates. WHERE: Woodstock, NB (location to be determined for classroom sessions), and various field sites in the Woodstock area (your own transportation will be required). COURSE FEE: Course registration fee will be $1250 + HST for members of the NB Association of Onsite Wastewater Professionals (NBAOWP) or $1350 +HST for non-members. Membership status will be confirmed with the NBAOWP. 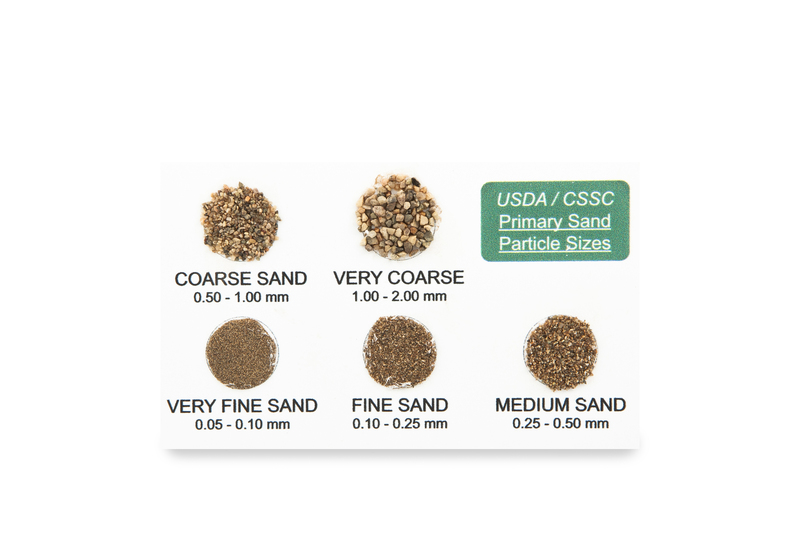 Registration fee includes all course materials: Handouts, site assessment reference charts and aids, water bottle for hand texturing, sand-sizes reference card, ETC Simplified Falling Head Permeameter (for testing sand fill). Payment must be received in full by October 20, 2015, otherwise, you may lose your seat and it will be given to someone else. PAY ON-LINE NOW. A Pask Constant Head Permeameter and Hand Auger (for testing natural soil) is recommended, but not required to obtain a non-conventional license. The cost of this equipment is not included in the base course fee. ETC Pask Permeameter Kits are available for purchase from ETC’s Product Development Division, Dynamic Monitors. Course attendees qualify for a 15% discount on ETC’s Pask Permeameter Kit if ordered at least 3 weeks prior to the course start date. To obtain your discount, use the Pask Permeameter discount coupon code which will be emailed to you upon receipt of your registration and payment for the course. Contact ETC (1-888-747-7645) if you have lost your coupon code or need assistance. Any applicable government license fees are not included in the ETC course fee. Individuals who wish to obtain a non-conventional system license to be able to select and install Contour Disposal fields in NB. Septic system installers, engineers, technicians who wish to update their knowledge, get questions answered, and learn about new developments in the field of site assessment. 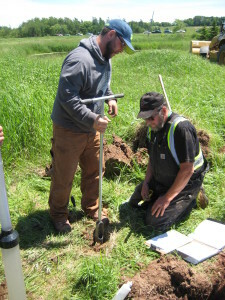 Those who wish to update their knowledge of site assessment and soil classification according to CanSIS/CSSC techniques which are now part of the NB Technical Guidelines. Note: As per Section 4(3) of the NB On-site Sewage Disposal System Regulation, a license for a non-conventional system will only be issued to the person holding a valid conventional system license. Questions? Email us at admin@engtech.ca or call ETC at 1-888-747-7645. Si vous êtes intéressé à prendre le cours en français, s’il vous plaît envoyez-nous un email avec vos coordonnées à admin@engtech.ca. 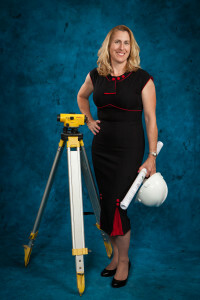 ETC President, Kelly Galloway, P.Eng. Kelly Galloway, P.Eng., is a Civil Engineer with over 22 years experience, 17 years with her own consulting firm, Engineering Technologies Canada Ltd. Kelly’s areas of expertise include all aspects of on-site wastewater management. Course is tentatively expected to run from 8:00 am until 4:30 pm for 3 days, with the possibility of a 4th day (morning only) to write the exam. Passing mark for the exam to be set in consultation with the NB Dept. of Health. Course fees will not be refunded if the government denies a license due to the applicant not passing the exam, or not meeting other criteria. ETC reserves the right to cancel course due to insufficient numbers or due to other logistical factors beyond our control in which case any registration payments will be refunded in full.